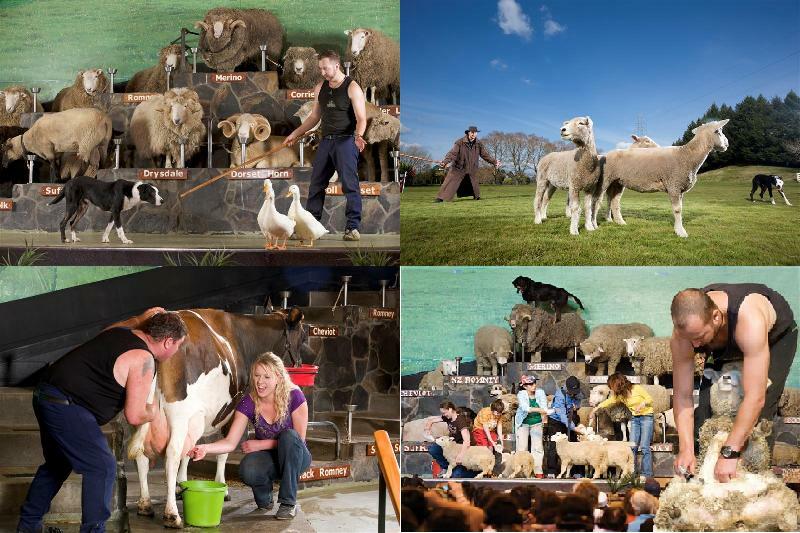 Agrodome Sheep show is a fantastic event which shows sheep of the most popular breeds in New Zealand. This is a very popular event among the locals and foreigners and also an award winning show which has succeeded in presenting the best 19 breeds in the country. You would also get a rare opportunity to witness how sheep dogs are trained and how they are at work with the sheep. How they are milked and sheared also could be experienced if you pay a visit to the Agrodome Sheep Show and Farm. Agrodome is a land north from the Rotorua city where you would find a bare land of 160 hectares of sheep and a beef farm. It is indeed a fun filled place where the visitors get to lend a hand in feeding the baby lambs and meet the numerous animals in the farm like cattle, goats, deer, ostriches and alpacas. Also the Kiwi farm in the vicinity would let you have an amazing time plucking and tasting the syrupy fruits. The Sheep Show that everyone looks forward to on their visit to the farm is the most exciting one hour you will ever have in the premises. Its lively performance done with the participation of many stage performers presents a very entertaining and informative show. The show is presented thrice a day in specially organized auditorium and the visitors too could take part in its various events. The sheep auction is one entertaining event which happens at the end of the show. Visitors are taken around the farm in tractors which can carry around 55 people and are given an informative commentary. A visit to the Agrodome Sheep Farm is a ‘must do’ if you are visiting New Zealand. You can gain an unforgettable experience and a wonderful time playing around with the cuddly animals. It would be an ideal decision if you choose a hotel in Rotorua which would make your trip to the farm quite easy. Millennium Hotel Rotorua is a choice made by most of the visitors coming to the farm and it is a renowned Rotorua hotel which would offer you an excellent service along with its contemporary facilities.